The beginning of January is a magical time in the health world. Kale smoothies are more exciting than dessert. Running 26 miles looks fun. Salads are the norm. But sometime between the winter blizzards and the Valentine’s Day candy, the new year’s magic starts to wear off. Many people have the desire and motivation to adopt a healthier lifestyle, they simply lack the way. That’s where building skillpower comes in. While deciding to make more nutritious food choices is an important step, just as important is coming up with a game plan for how do it. One great book that teaches this strategy is Disease Proof, by Dr. David Katz. Each chapter features a different challenge, and then expands on how to adopt the skills that are relevant to healthy behavior change. For anyone that wants to live healthier, but doesn’t know how to begin or why they can’t seem to make it work, Dr. Katz’s book is a great place to start. This book offers plenty of practical tips to make nutritious choices the easy, default choices. After all, Dr. Wansink is a firm believer that “it’s easier to change your eating environment than to change your mind.” In other words, it is easier to eat healthy foods when you stock your refrigerator with your favorite nutritious meals and ingredients, rather than with soda and junk food. Keeping yummy, nutrient rich food around the house is the key here, as Wansink warns that empty kitchens can make you fat because they cause you to eat elsewhere. How are you planning to live healthier this year? 1) You know what you are putting into your body. This is true not only of the homemade meals you whip up in the kitchen, but also with meals that you eat out. How so? Once you learn the basic ingredients and preparation techniques of classic dishes, you are better able to gauge what ingredients go into meals when you eat out, making you a more educated consumer. Additionally, cooking also obviously allows you to know what you are putting into your body at home, as you have complete control over which ingredients to include or omit. 2) You become less dependent on processed foods. By developing cooking skills, you become less dependent on fast food places to take care of the meal preparation for you. Experienced cooks are not intimated if they don’t quite have the exact ingredients, or don’t have a recipe in front of them. Experienced cooks can confidently adapt, and aren’t at the mercy of convenience foods and prepackaged junk. By taking time to cook things yourself, you also learn which steps of processing are unnecessary, and which ones are worth taking advantage of. Additionally, mastering a challenging cooking technique will help you better appreciate that food when eating out, and mastering an easy cooking technique will give you confidence to incorporate that skill into your normal routine. So how does one learn how to cook? Practice Practice Practice! 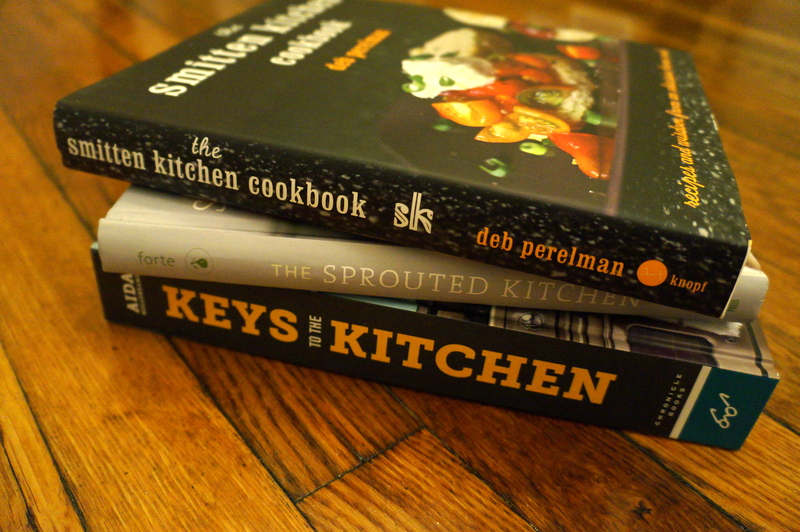 Sure, you can sign up for a cooking class or read about techniques, but the best way to learn is hands on experience. 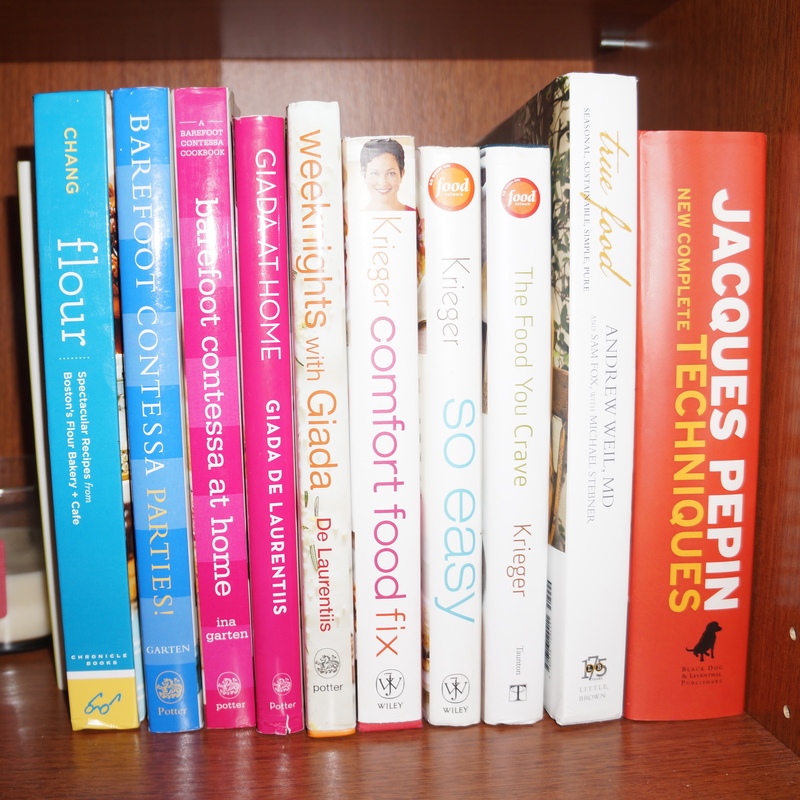 My advice is to pick a cookbook that looks good to you and get started! Challenge yourself to make at least one new recipe each week, using a variety of ingredients and techniques. Once you master a new ingredient or technique, you have that in your repertoire for future use, and will slowly become less and less dependent on the food production system (or at least better appreciate its complexity). All bookmarked and ready to go. Keys to the Kitchen has been her go-to so far. 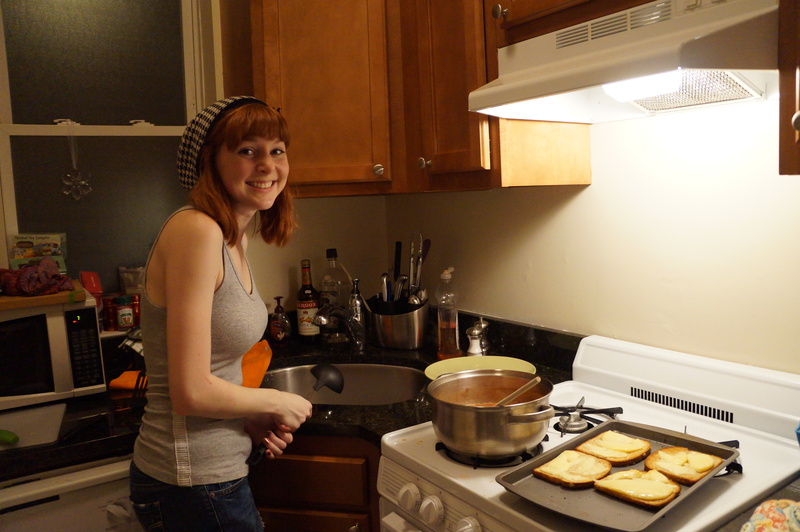 If you are new to cooking, don’t give up! While it might seem to take forever at first, cooking gets much quicker and easier with practice. If you want to take up cooking but are worried about the cost, here is a helpful article about stocking a kitchen inexpensively. And let’s not forget that cooking things yourself often ends up saving you money. Anyone else learning how to cook this year? The winter season is a great time to reflect on the past and resolve to make changes for the upcoming year. Despite well-intentioned efforts, many people make bold lifestyle changes that are unsustainable in practice, which is why most New Years resolutions are quickly abandoned and forgotten. Although I am a Registered Dietitian, I am also human. Living a healthy lifestyle still requires effort and planning, and New Years Resolutions are no exception. Rather than a complete overhaul of current habits, I recommend finding areas of your life that could use small improvements, and then making specific, purposeful, and realistic goals related to the area of concern. 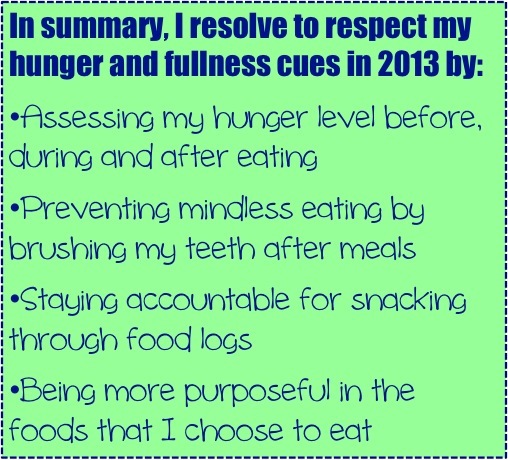 For example, rather than “get healthier”, this year I resolve to respect my hunger and fullness cues– a small but important healthy habit. Are hunger and fullness cues something you would like to work on? If so, I highly recommend this book. Being a Gastronomy (food studies) student, moving across the country to a new region with entirely different culinary specialty (hello, lobster rolls and clam chowder), continuing to experiment with recipes and hone my cooking skills, working in the food service industry, and traveling to places both familiar and unfamiliar have all led me to get caught up in the cycle of wanting to try EVERYTHING. While I don’t think there is harm in tasting, this year I resolve to improve my tasting skills. By that, I mean that I want to savor my bites rather than eating mindlessly, and make an effort to stop eating when full. Haven’t read this one yet, but I have heard great things about it. Am I hungry? Sometimes I am not hungry, yet I find myself wanting food. Just knowing that there are Christmas cookies in the house makes the little piggy in me think “Oh well, they are here so I might as well eat them. Then there won’t be any left for me to eat anymore- problem solved!” Whoa, whoa, whoa, not so fast, Kelly. One strategy I will use is to brush my teeth. Many a time have I easily said “No, thanks” to tempting treats from my parents or roommates, simply because I had already brushed my teeth, and frankly, I really didn’t want to brush them again. The fresh, minty mouth feel is also a great way to mentally signal the end of a meal, and let your body know that the kitchen is closed (note- this strategy will also help me achieve the ever popular New Years Resolution of improving dental care). When I am at work, I use sugar free gum to achieve the same effect. 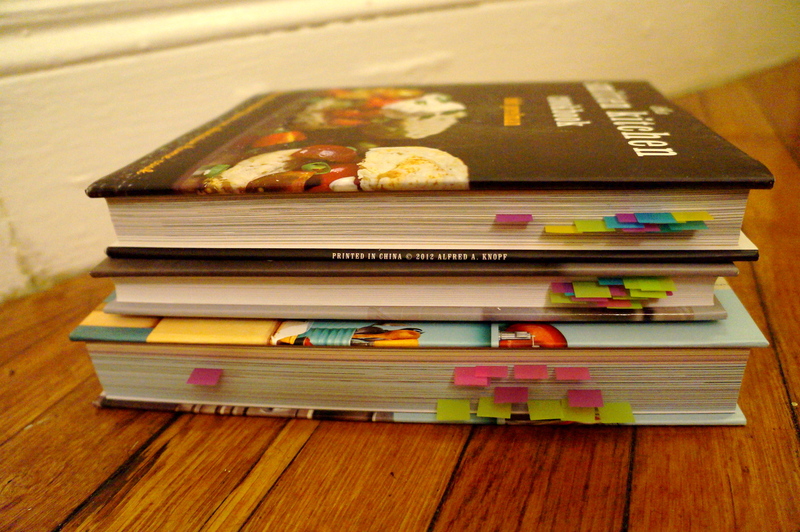 Another strategy to prevent mindless eating is to keep a food log. Part of being successful when making dietary changes is being held accountable for what you eat. While I don’t see myself keeping a detailed diet log with complete nutrition facts, I do think its reasonable to jot down foods in a journal in order to stay accountable for what I eat. Feeling more ambitious than that? Studies have also shown that taking a photo of what you eat before you eat it is another way to stay on track with healthy eating. With food photography being so hot these days, this approach just might work. Is this food special? Sometimes, tasting when you are not hungry can be justified IF the food is “special” and IF you limit yourself to just a taste. What do I mean by special food? Food that is new to you that you will likely not get to try again, such as exotic food while traveling, food at a really nice restaurant, or even your own wedding cake! Food that is not special is the candy or cookies that your coworker brought into the office. Learn to know the difference, and learn to say no in those situations. Special foods, such as cake, are fine eaten at a celebration (such as your birthday or wedding), but sometimes the only celebration is the fact that your roommate brought home extra cupcakes. You weren’t expecting them or counting on them, and you will be just fine without them. In situations where you are exposed to “special” foods when you are not hungry, remember just to have a taste. Savor your bites and take a mental note of the flavors. Do not feel the need to compulsively finish whatever you are given, even if there is still some left on your plate. Is this what I want? Why am I choosing this food? Is this food going to nourish my body and contribute to my health? If not, is it something that I am truly craving? Am I just trying to fill a void (such as boredom, stress, or unhappiness), or is this food truly going to satisfy my senses (such as juicy watermelon on a hot day)? How will I feel after I eat this food? Will I be satisfied? Remember to always eat with a purpose! Does this taste good? If I food does not live up to my expectations, I sometimes keep eating it in hopes that the next bite will get better. Spoiler alert: It doesn’t. Taste buds change over time, and I strongly believe that it’s important to periodically give foods you don’t like a chance. However, if you are eating something, especially something that is energy dense (high calorie), don’t waste your time on it if it doesn’t taste good. If the food isn’t what you really want, you will likely end up giving in to what you do want later. So spend your calories wisely, and eat with passion. Am I still hungry? Americans tend to feel obligated to “clean our plates”, a habit instilled in us from a very young age. People rely on environmental and cultural cues to stop eating (my plate is clean, the package is empty) rather than relying on internal hunger and fullness cues. To combat this, I am going to take a mental assessment of my hunger level THROUGHOUT the eating process, rather than just afterwards. I resolve to stop eating when I am no longer hungry. One strategy I will use to more accurately assess my hunger and fullness cues is to eat more slowly. Sometimes I eat so fast that I don’t even realize how full I am until I have already left the table! I resolve to put my fork down between bites, enjoy the conversation of my dining companions, and not inhale my food. Additionally, I would like to challenge myself to leave a little bit of food on my plate, in order to set the habit of eating according to internal cues, and to avoid compulsive eating. This is much easier said than done! How did this make me feel, both physically and mentally? Did eating this food make me feel energized? Give me a stomach ache? Keep me full for hours? Fill me up at all? Did this meal inspire me to make healthier choices throughout the day? Did it make me feel guilty? All of these things are important to make note of after eating, and will help guide you to the foods that work for YOUR body. Now, if you need me I will be stocking up on Crest 3D White Toothpaste, electric spin toothbrushes, fresh journals and pencils, and rereading my copy of Intuitive Eating. What do you resolve to do this year? Will you be making any dietary changes? For many Americans, the start of a new year signifies the start of a new, healthy lifestyle. Are you planning on embarking on a weight loss journey or making a healthy lifestyle change this January? Here are some of my favorite articles filled with strategies to help dieters lose weight and keep it off. According to this CNN article, the 5 habits of highly successful dieters are to 1) be very specific, 2) create an ok-to-eat plan, 3) track your success, 4) be a realistic optimist, and 5) strengthen your willpower. To learn more about each of these strategies, read the full article. According the Academy of Nutrition and Dietetics, 4 strategies proven to keep the weight off include regularly weighing yourself, engaging in positive self talk, becoming a problem solver, and continuing with behaviors that made you a successful loser. Read this article for a more in-depth explanation of these strategies. Are you a fan of Instagram, the popular photo sharing app? Would you like to see healthy, inspiring images to keep you motivated throughout the new year? Check out Intigrative Nutrition’s list of 22 healthy and inspiring people to follow on instagram. According to a recent health study, dieters that use mobile weight loss apps in combination with a diet and exercise education program are more successful at losing weight and keeping weight off than those that didn’t use mobile weight loss apps. Personally, my favorite diet tracking app is MyFitnessPal. However, there are plenty of health tracking apps on the market. From gluten free to Vegan to Paleo to low carb to low fat, there is lots of health propaganda and fad diet talk in the media today. Do you know that your diet needs a makeover, but are unsure where to begin? Consider seeking the help of a Registered Dietitian. An RD will cut through all of the nonsense, and find a plan that works for you using the latest in evidence based practice. To find an RD near you, you can use this search tool. Also, note that anyone planning on making a major health or lifestyle change should contact their physician. Not planning on embarking on a weight loss program this year, but know a loved one that is? This article is a great read on how to support your loved one during their weight loss journey. Are you making a healthy lifestyle change this year? As indicated by many of the articles mentioned above, tracking your weight, diet, and/or exercise is one winning strategy to lose weight and keep it off, and is also a great way to monitor health patterns, particularly for those managing chronic diseases. What winning strategies will you be incorporating this new year?